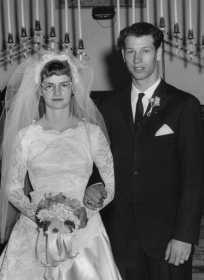 Donald and Vernille (Balk) Cubbage were married March 3, 1963, at the Berea Christian Church in Ketterman, Mo. Their children are Sheila Bryson and husband Eric, Fort Worth, Texas, Donis Duncan, Nevada, Davola Garrett and husband Tony, Nevada, and the late Sherri Cubbage Prewitt and three grandsons, Jacob Duncan, Tanner Duncan and Nathan Byson. The children of Donald and Vernille Cubbage would welcome the presence of family and friends to participate in the joyous celebration of their parents' 50th wedding anniversary. 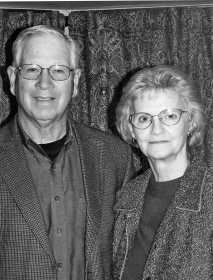 A reception will be held on March 3, 2013, from 2-4 p.m., at the First Christian Church Fellowship Building, Washington and Austin Street, Nevada. Omission of gifts is requested, desiring only the presence of family and friends.